The Deschutes National Forest is Central Oregon’s outdoor wonderland – and Bend is at the heart of it. 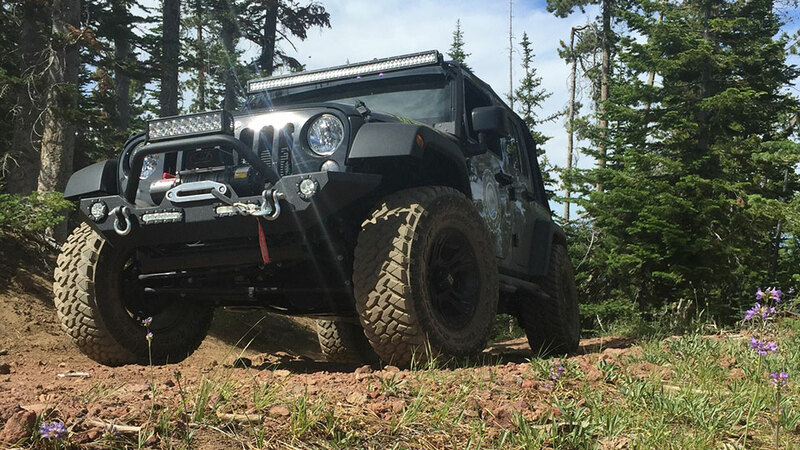 There’s no better way to experience it all than a ride with Bend Jeep Tours. Let your guide take you on a three-hour sightseeing adventure where you’ll discover lava flows, waterfalls, and a “jaw-dropping view of the majestic Cascade mountain range. Bend Jeep Tours’ scenic off-road adventures provide a unique opportunity for the young and young at heart to access and enjoy the natural wonders that make Central Oregon “the outdoor playground of the West.” Tours run during the summer months and, while reservations are required, same day requests can often be accommodated. Jeeps can carry up to five passengers and, with 24 hours of notice, car seats can be provided for children. Please note that pregnant women and children under 18 months of age are not allowed to take off-road tours. Bend Jeep Tours welcomes service animals on tours and friendly, non-service pets are also allowed, subject to U.S. Forest Service rules and regulations, including proper leashing. Hiking, mountain biking, boating, floating, shopping, golfing, visiting microbreweries; in Bend, the to-do list is long and fun. Make sure yours includes a ride with Bend Jeep Tours.